BQ knows how important every little saving is, that's why dining coupons are so important! Especially when fast food and restaurants are getting more and more expensive. 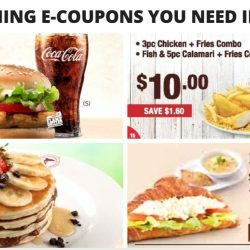 Here's all the latest dining e-coupons for May and June 2017 consolidated for your easy access! Remember to stay updated on the latest coupons at BQ.sg and at our Facebook page! 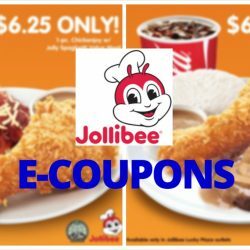 Till 28 Apr 2017 Jollibee: Flash these e-Coupons to enjoy your all-time Jollibee favourites! Time to be jolly! Now there's more reason to enjoy your all-time Jollibee favourites! Flash the following coupons to the cashier upon ordering to redeem. Valid till 28 Apr 2017. Terms and conditions apply. BQ knows how important every little saving is, that's why dining coupons are so important! Especially when fast food and restaurants are getting more and more expensive. 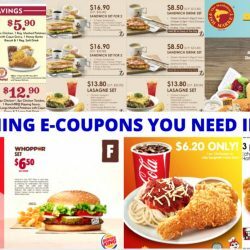 Here's all the latest dining e-coupons for April and May 2017 consolidated for your easy access! Remember to stay updated on the latest coupons at BQ.sg and at our Facebook page! 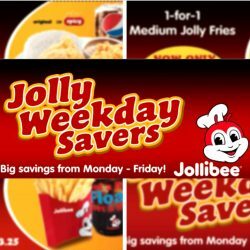 Try the famous fast food from Philippines with their Jolly Weekday Savers E-coupons and save up to $3.25! To enjoy Jollibee's E-coupons, all you have to do is to download the PinoyAvenue Mobile App and redeem! Valid from Mondays to Fridays, till 31 August 2016. Chill with a Twirl! 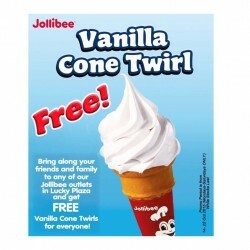 Invite your friends and families to chill in Jollibee and get FREE Vanilla Cone Twirls for everyone! 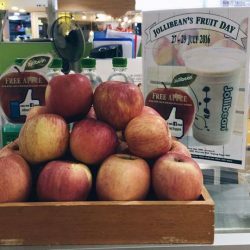 Visit us at the following outlets: Jollibee Lucky Plaza Level 6 (#06-48A) and Basement 1 (# B1-038). Promo period is till 22 Oct 2015. Hurry! while stocks last!